Every year, we collect survey from participants after NASA International Space Apps Challenge. As organizer of the event, we want to make sure that participants’ expectations for the event are matched and that the event’s outcome align with our mission. So how did we do? 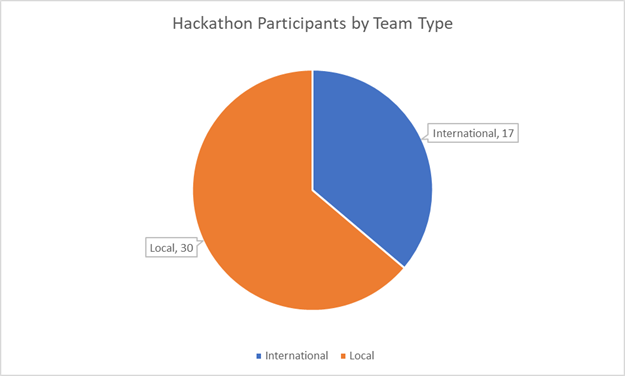 Let’s take a look at 2018 NASA Hackathon’s feedbacks. Participants by Team Type: Binnovative ISAC is a truly international event, with almost two thirds of our participants taking part in an international team. Our international teams provide opportunities for collaboration between participants in Tokyo, Boston and elsewhere in the world, allowing international team members to gain valuable experience working with people with different skills and backgrounds. Participants by Venue Location:. 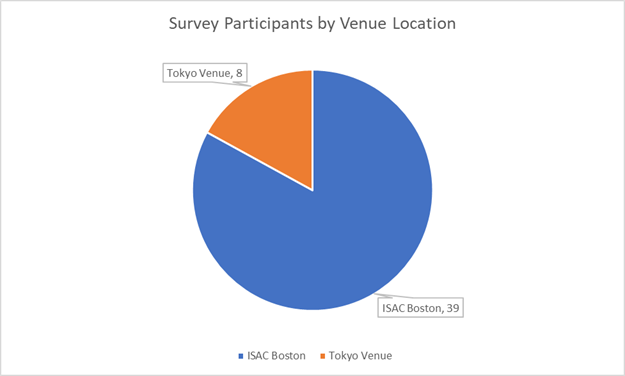 Although the majority of our participants did so from the ISAC Boston venue, the number of participants taking part at the Tokyo Venue has increased since previous years. One of the advantages of this is a greater opportunity for even more of our participants to take part in international teams, with all of the challenges and rewards that come with it. 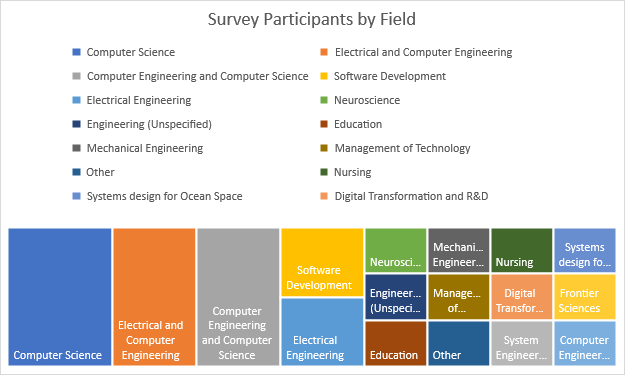 Participants by Field: Although the majority of our participants come from an academic background, they come from a wide variety of different fields including engineering, computer science, software development and more. This diversity is one of the keys to success in hacking, as it provides participants with exposure to different perspectives and ideas. The majority of our participants are students from the Boston or Tokyo areas. 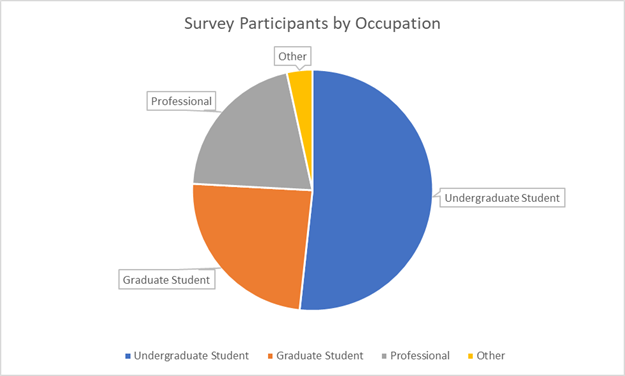 Keeping in line with the results of the survey regarding age, more than half of the participants are undergraduate college students, with many of our older participants being either graduate students or working professionals. 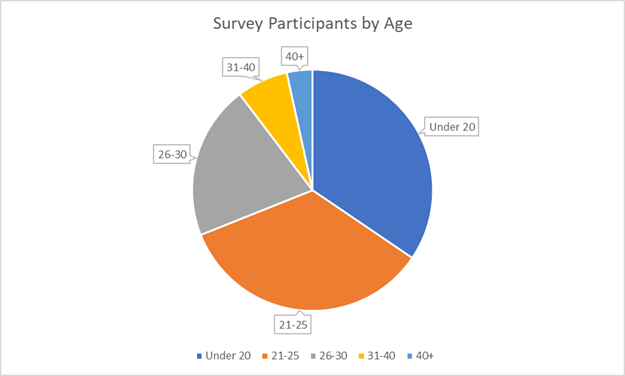 The majority of our participants were of college age, with about two thirds of respondents indicating that they were below twenty-six years old. Members of this age group are some of the most highly involved in the hacking community, however as the data indicates, there is plenty of room for participation older than this. 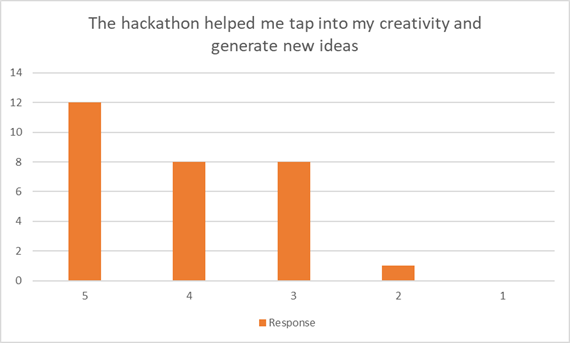 The majority of participants indicated that they found the hackathon to be adequate or better in helping them to think outside the box and come up with new and innovative ideas. 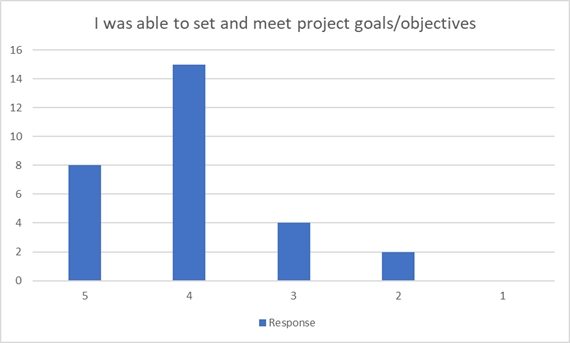 The majority of participants indicated that they found their progress over the course of the hackathon to be adequate or better. One of the biggest challenges in participating in a hackathon is the time and resource constraint. Ultimately, it is a great accomplishment being able to meet the goals that are set during the planning phase of the hacking process. One of the advantages and challenges of Binnovative ISAC is our strong emphasis on international collaboration. 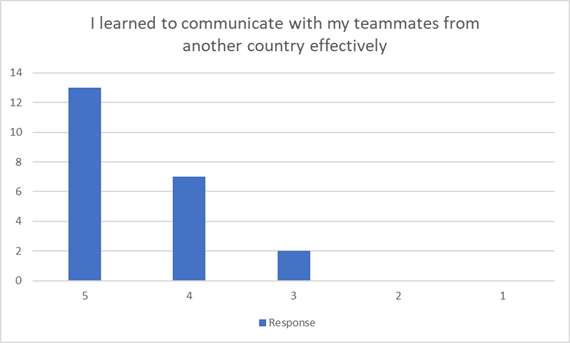 In addition to the challenges of hacking, our participants (particularly those involved in international teams) face the challenge of communicating across language and cultural barriers. We provide our participants with resources to help them overcome this challenge, and we’re pleased that our participants found doing so to be an educational experience. We’re pleased to note that the overwhelming majority of respondents indicated that they agreed or strongly agreed that they would recommend our event to a friend. 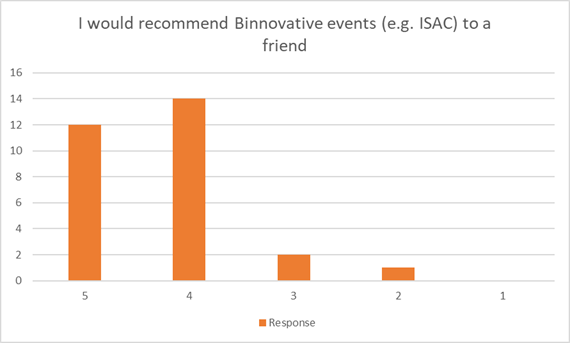 This suggests a likelihood of strong participation in our future events, and we’re very much looking forward to continuing to host Binnovative ISAC. We are pleased to see these results, as we plan to improve the participants experience every year. We look forward to seeing you at the next event!